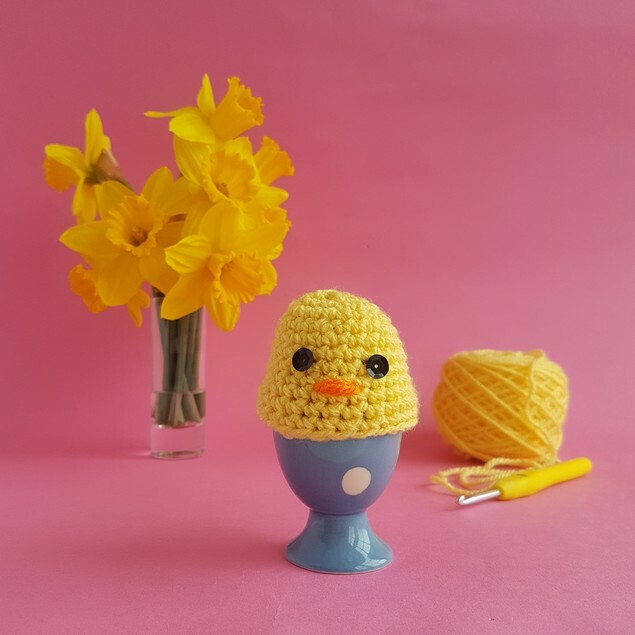 A new crochet WIP might just have you wanting to add some egg cups to your kitchen to be able to add a dash of cuteness to your morning routine with this crochet chick egg cozy from Emma Friedlander-Collins of Steel and Stitch. You just have to decide which comes first - your chick egg cozy or your egg! Make a magic ring. Using Paintbox Yarns Simply Aran and a 5mm crochet hook, crochet a magic ring. Round 1. Crochet 6 sc into the ring. Round 3-8. Use a stitch marker to indicate the beginning of each round. Work 1 sc into each stitch for each round. Finish it off. Fasten off and weave in ends with a tapestry needle. The finishing touch. Add 2 black sequins for eyes and a couple of orange stitches for the beak.